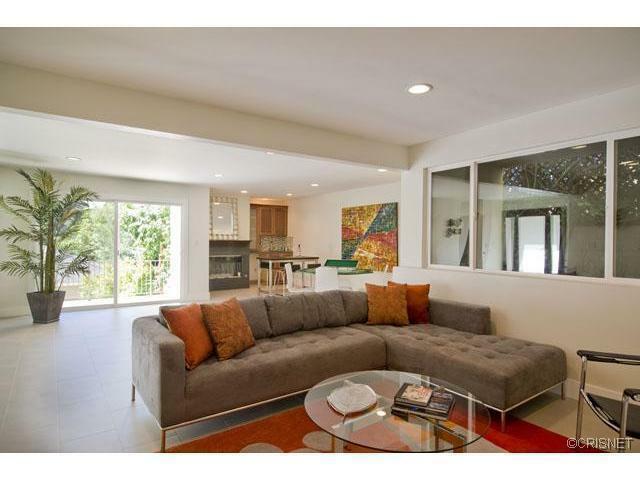 Modern beautiful home with extraordinary attention to design & detail. This 3bd, 3ba property located on a cul-de-sac south of the Blvd, sits on a secluded mountain w/beautiful city views, walking distance to the Blvd. This home features open floor plan, hardwood floors, walnut veneer cabinets w/stone counters. Family Room opens to an oversized deck, amazing space for your entertainment needs. Fabulous master suite w/fireplace, oversized shower & walk-in closet. There is too much to mention in this spectacular house. It is true California at its finest.